In today’s age, most people have a social media account either on Facebook, Instagram, Twitter, or Pinterest. Many people will even have an account on multiple social media platforms. Therefore, if you want to reach the masses, you want to have a strong presence on the sites people are active on. Here are a few ways you can effectively grow your presence on social media. One of the best things you can do on social media is actively engaging with your visitors and keep things real. Constantly providing new and fresh content on your page is necessary, but you want to make sure that you talk to people who like and/or comment on the post. You will see more growth when people feel like they are talking to a human and not a program that keeps content posted. However, this does mean you need to watch what your tone, as things are harder to interpret across the computer. The point of having a social media account is to connect with other people, so make sure you make it easy for readers to find you. This means if you have a website, you need to have social media icons on your site near the top. If someone has to hunt to find you on social media, you are likely to lose out on traffic. In addition, make it easy for them to share your posts and comment from social media as well. One of the first things you need to do if you want to grow your presence on social media is to create goals for your page. You need to know what you want to see from the accounts, such as demographic reach. Once you have identified your objectives, you will want to make sure you have a social media team that knows how to optimize the platform. This should include a marketing calendar containing blog posts and upcoming events that you want to highlight. If you know your visitors and their needs, you will be more successful with interacting and forming a relationship. This is done by engaging with those who comment and share your posts, and by taking note on what their replies are. You will develop an idea of what they want to see and how you can best help them. Social media is a place where you can be informal and enjoy yourself. You want to use one to two hashtag on every post, if possible. Answer your visitor’s questions but also make sure you have them smiling. Finally, hold games and contests to keep the engagement up with your visitors. It is important that you follow the terms and conditions of each of the social media platform, which is why it is important to have a social media team keeping track of that information. Your visitors want to see a benefit from your page, or it will be unfollowed. 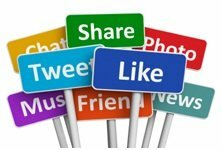 It is possible to build your social media presence quickly and effectively, especially when you use these tips. It may also be a good idea if you run social media campaigns every once in a while and taking a loan from ukhomeandpersonalloans.co.uk is one option to make sure the campaign can run effectively. Hi! This is John a Software Engineer and Technology Blogger. I am former author of this Blog. TRFFC Media is a growing popular tech and online marketing news blog. Here we share all aspects of technology news, electronic gadget’s, digital marketing tricks articles. This blog has tech tips which might be used from kids to grown ups.